Great Indian food deserves to be accompanied by great Indian drinks. If I’m having a casual dinner party with family and friends, I like to serve a little more than just premium Indian lager. Don’t get me wrong, it’s a welcome addition to any meal (and not just with Indian food! ), but when you’re having a get-together your drinks menu can be equally as important as the meal itself. Thanks to my diverse upbringing, I’ve created a collection of contemporary drinks that lend themselves beautifully to both my Indian heritage and my British culture. 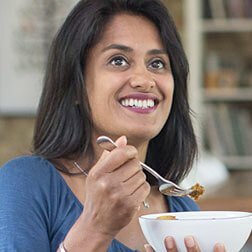 Why not try to whip up a few of your own tasty cocktails to enjoy with your starters, or try one of my brilliant Lassi recipes to balance a fiery curry? I often like to wind things down with a cup of sweet chai at the end of a slap-up meal. Have a browse through my pages of drinks recipes to find your favourite tipple!